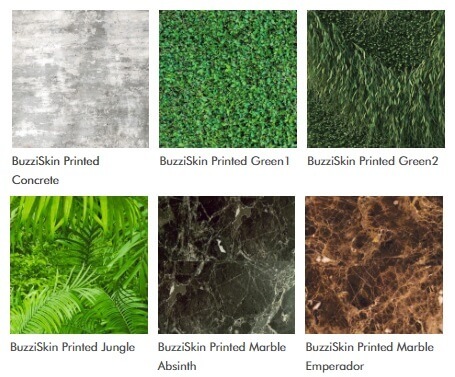 BuzziSkin Printed is an acoustic wall covering with an urban, industrial or natural print. The material is supplied on a 10-metre roll and has a self-adhesive backing. BuzziSkin Printed is made of felt that comes from recycled PET bottles. 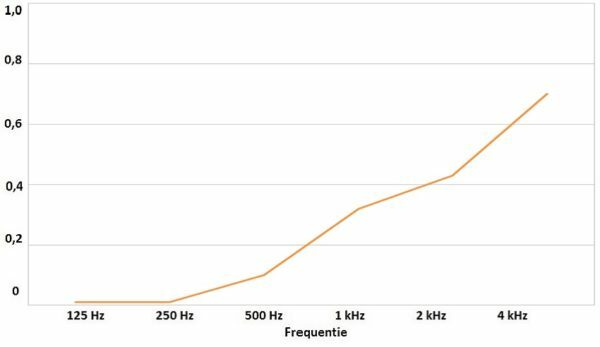 Thanks to its sound absorbing value, the material improves the acoustics in a room. BuzziSkin Printed is gemaakt van 100% recyclebaar ecologisch vilt. Dit product wordt op een rol geleverd van 10 m. Breedte: 98 cm. Dikte: 6,1 mm. BuzziSkin Printed has a self-adhesive backing. Make sure that the surface is free of dust and grease before assembly, when applying the material. The material is easy to cut to size with a sharp punching knife.